Barrier free accessible information for 24/7 operation. In particular also for people with handicaps it is easy to zoom, scroll and read well all information as presented at this multifunctional touch table. The open structure is specially designed in a way it provides optimal accessibility and comfort for wheelchair users. 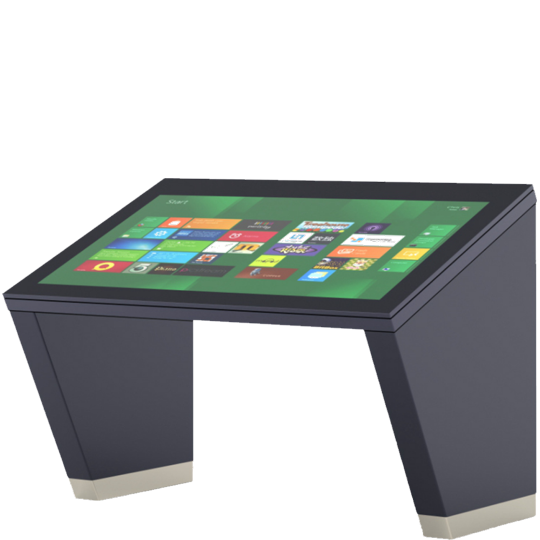 Please check out and test the new Muli-Touch table as well as other display systems in the range from 46” up to 85” which will be showcased on our booth at the ISE.